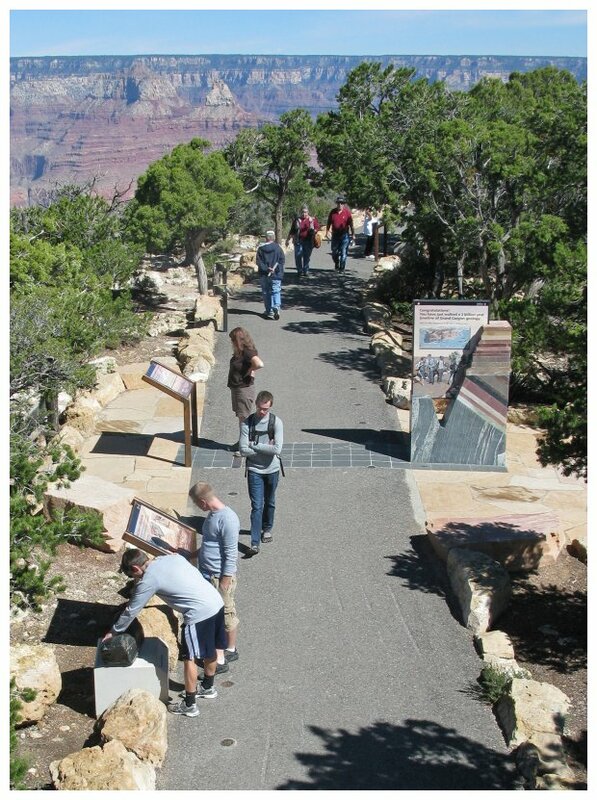 The Trail of Time is an interpretive walking timeline trail that focuses on Grand Canyon vistas and rocks to guide visitors to ponder, explore, and understand the magnitude of geologic time and the stories encoded by Grand Canyon rock layers and landscapes. 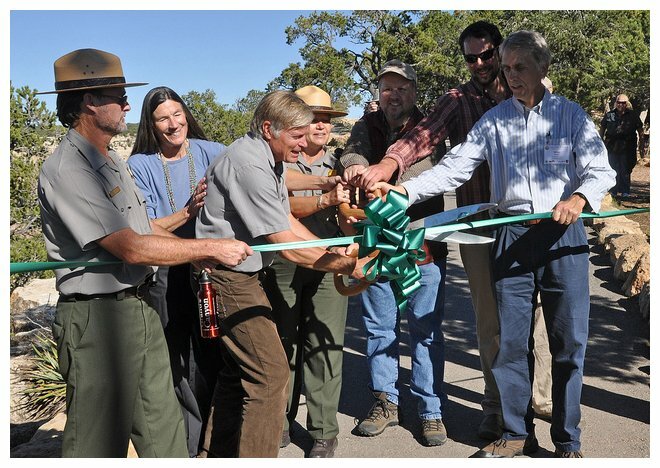 The Trail of Time, at Grand Canyon's south rim, was formally opened in October of 2010! Grand Canyon visitors interacting with exhibits along the Trail of Time. Learn more about how you can incorperate the Trail of Time into your Grand Canyon visit. Tell me more about the exhibit. Read Trail of Time evaluation reports.